Most of us develop habits by REACTING without knowing what is causing us to react. React enough times to a stimuli (sight, smell, sound, thought, etc.) this physical response will become unconscious and that’s what we call a HABIT. Habits can be formed in as little as 3 consecutive days/times of the repeated CUE-URGE-ACTION-REWARD cycle. For instance, every time you do “x”…”y” happens. It’s called the Cue/Urge/Habit/Reward cycle. Your brain is wired to pursue things it sees as a rewarding event (dopamine and the opioid centers of your brain). So if after every stressful day at work you hit a pint of Blue Bell..over time the stress required for this habit becomes less and less. This leads to weight, eating, and many other issues. To reverse these habits (food, drinking, drugs, etc. ), you must first be AWARE of your triggers and your thoughts & emotions around those events and occurrences. This emotional learning overtime, will then lead to a competing behavior over time, and now you have broken your habit. You can apply this strategy to any are of your live where you have an unwanted habit that you cant seem to break. 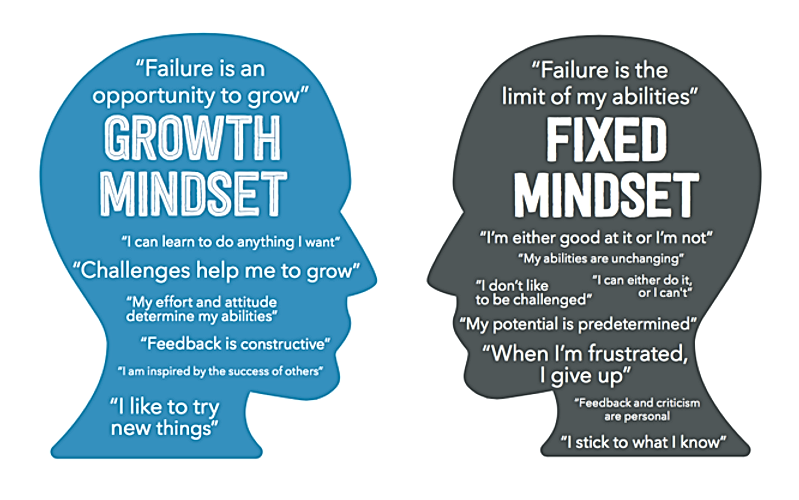 In this world there are two common mindsets that most of us fall into: fixed or growth. One will keep you right where you are in life, and the other allows you to achieve whatever levels of success you ever so desire. The question now is to figure out which mindset you align with, and how to start making steps in the right direction. FIXED MINDSET: This is someone who looks in the mirror and says, “This is my body, this is my life, and I have to live with it”. They fear change, they don’t believe that can accomplish certain things, they just take the cards that the universe has “dealt” them. These individuals don’t set goals, they blame all of life’s problems on everything and everyone else, other than themselves. Think of someone who works a job they hate, just to earn money to spend on the weekends, rinse, repeat. This person is not grateful, usually bitter, and unhappy. GROWTH MINDSET: This is someone who looks in the mirror and regardless of where they are at in life’s journey or a fitness journey they say, “I have tons of potential, I can achieve anything I believe I can do, nothing will get in my way, I create my own destiny, who am I today and where I go tomorrow is a summation of all of my life’s decisions, and all up to me.” This person doesn’t accept anything in life until it’s what they desire and are going after. This person doesn’t fear change, they are courageous and seek change and obstacles because they know each obstacle they overcome whether in life, or training, they become stronger and build character-which moves them to the next stage in their journey. This person sets ambitious goals, holds themselves accountable and lives a life of happiness and freedom because of this. Think of someone with great levels of success, who is humble, caring and happy. The great thing? IT’S FREE, the mindset you choose is FREE and up to you. Now, it’s okay if you are a person of a fixed mindset, because I believe most of us grow up that way due to one reason or another, and I am of no exception. The solution? You have to starting viewing life as a play or movie, and you write the script. YOU! So if your unhappy at work, if your unhappy and unsatisfied with parts of your life, start ACTING how or who you would like to become.For example, if you are just unhappy in general: Smile more, or do something small each day you enjoy, like reading a funny article, watching some YouTube clips to laugh, go for a walk after dinner, etc.. It’s about making small steps to the growth mindset. Focus on a small area of your life you would like to change, and start viewing in the since of “I have 100% control over this, and it’s all about how I view it.” Once, you make one change, you will gain momentum and confidence to make more positive changes. Remember: SMALL STEPS! Focus on ONE habit or area of your life at a time. Small hinges, swing the big doors. A little on top of a little after while = A WHOLE LOT! If you wish to take the fast track to getting a growth mindset, to feel more confident, to become more outgoing, live a healthier life and become who you truly want to be, then I extend an offer of our Ultimate 7 Day Trail at Training for Warriors Stockyards! You will get a full week free access to all of our classes and programs. We as a company have helped tens of thousands already lose fat, build muscle and feel better about themselves again! If you want to accept this offer, fill this form out here so we can schedule a time for you to come out to our facility and do a Strategy session in which I will help you uncover your goals in life and health, go over our program in detail and set a program start day for you. If your goal is fat loss, then you need to focus on intensity = Intensity when you lift and intensity when you’re doing any time of conditioning: running, biking, swimming, battle ropes, rowing, etc. The harder you work in a given amount of time, the more metabolic demand you place on your body’s systems. Not only that, you will continue to burn a copious amount of calories post-work out compared to it’s “steady state” exercise partner. 1) Decrease rest time: perform multiple exercises back to back with minimal- no rest. When you do have scheduled rest breaks, aim to keep them under 60 seconds! 3)Tempo variables: Use ALL the different tempos schemes you can. Your body will respond to, and adapt to very differently with the varying speeds you train it with. These are neruro-muscular adaptations. So work with slow and moderates tempos, use pauses at the bottom, middle and top of your lifts and don’t forget about explosive (but with correct form) and fast reps as well. Your body can only move as fast as you train it! 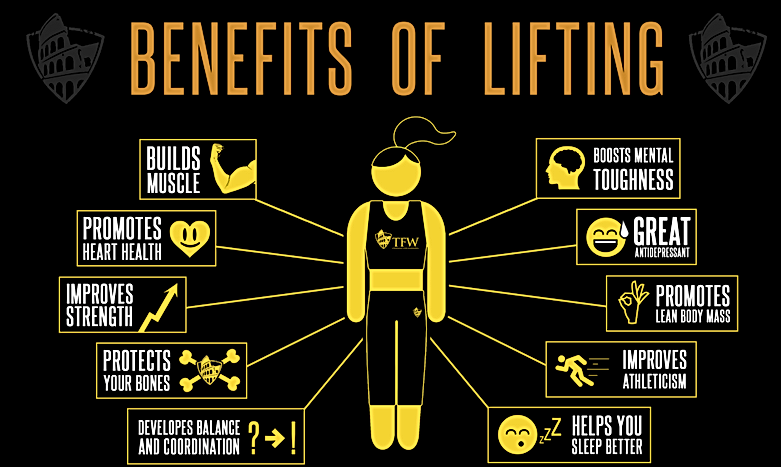 Now I challenge you to implement one or all of these to the next month of your training program and reap the amazing benefits! Of course calories matter! I wanted to briefly touch on calories. In a broad sense I describe why an individual should know at some given points in their training cycles roughly how many calories they are taking in, vs the ones they are expending through daily activities and exercise . First thing is 1st, now that you know that calories do hold some importance in the realm of all things health and fitness, get started tracking! Now the hard part. You must decide on what needs to be changed about your current food choices and eating habits . I recommend circling or highlighting what you would like to change in your food logs, and then choose ONE habit at a time to focus on and master. Once you can complete that habit each day for TWO WEEK, then shoot for another habit.